It’s always great to find a dish that’s equal parts healthy, convenient, and delicious. But no one wants to each the same thing over and over again. 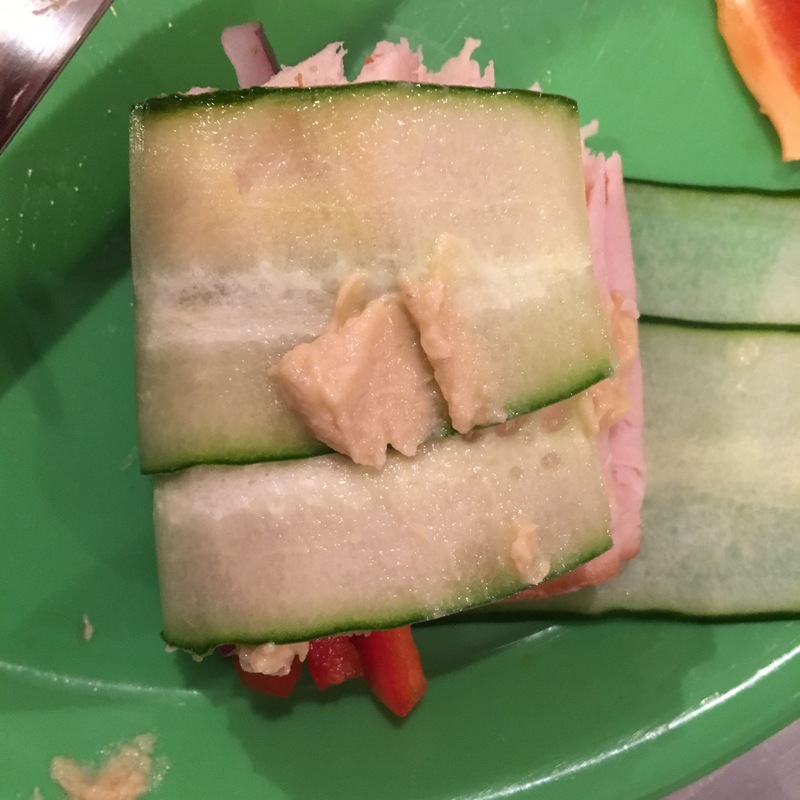 The cucumber wrapped sushi rolls were amazing so we decided to change up the contents and it gave it a whole new life. 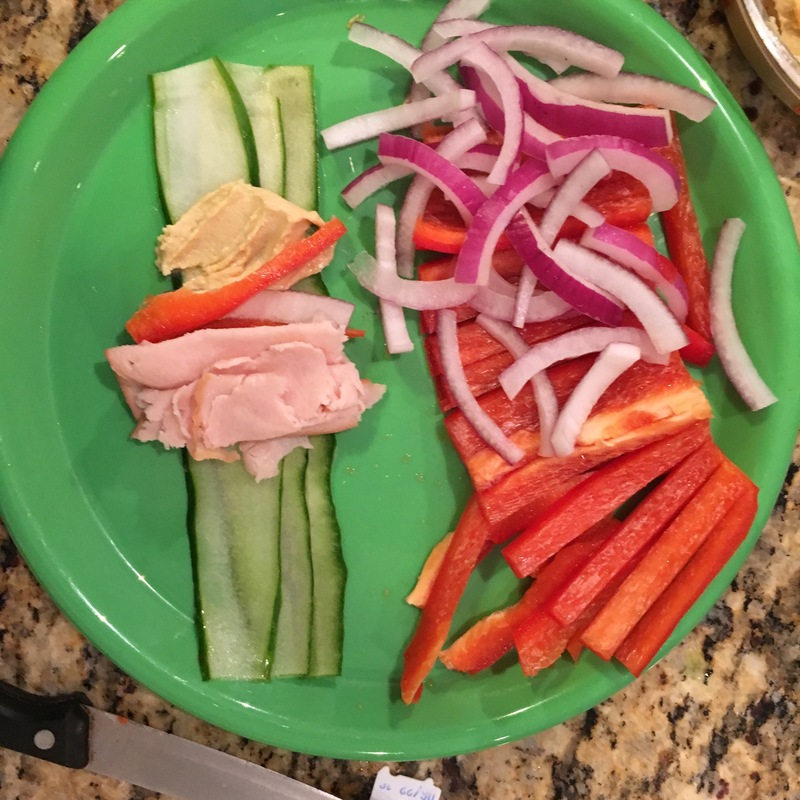 We have peeled the cucumbers with the vegetable peeler (see the sushi post for instructions) and cut red bell pepper and onion julienne. The turkey meat is grocery store bought and is nitrate and hormone free. Most lunch meat is heavily processed and contains all kind of nastiness. It’s best to shell out a little extra money for a better product. Next, we used hummus as a binder and to give it a bit of moisture. We’ve served it with quinoa and gone with a Mediterranean theme in seasoning it with dill, parsley, and garlic and garnishing with green olives. Lettuce wraps are great (and stay tuned! we are working on some fun variations) but cucumber wraps are much easier to bite and enjoy. Wrap it up!